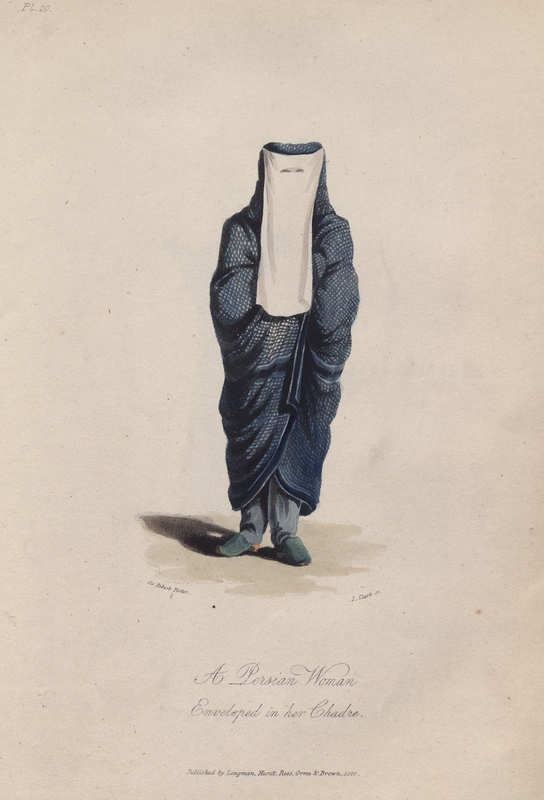 Sir Robert Ker Porter. 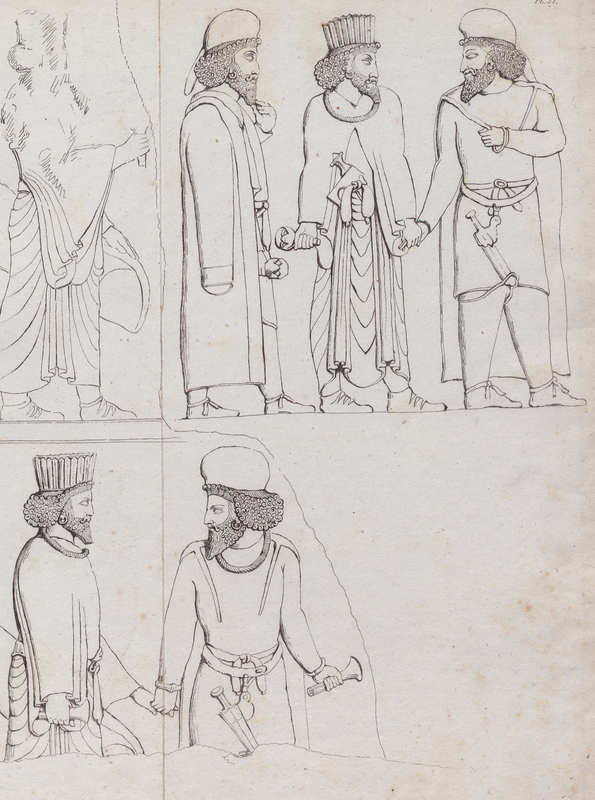 Travels in Georgia, Persia, Armenia, Ancient Babylonia, &c. during the years 1817, 1818, 1819, and 1820. 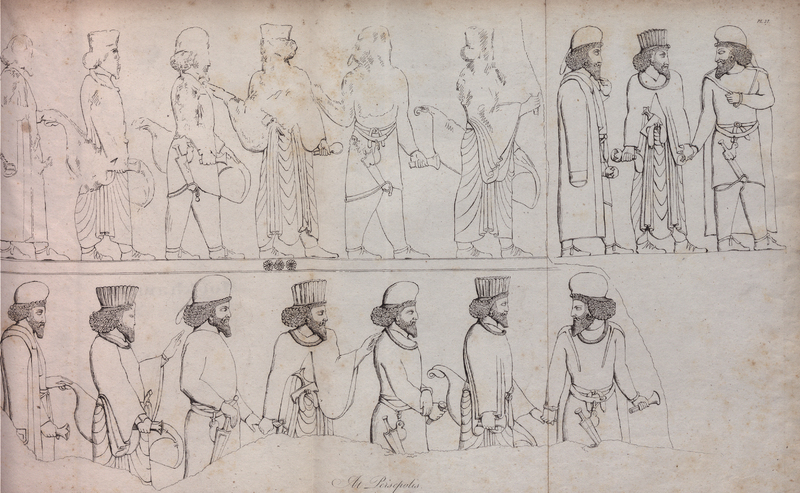 London: Longman, Hurst, Rees, Orme, and Brown, 1821. 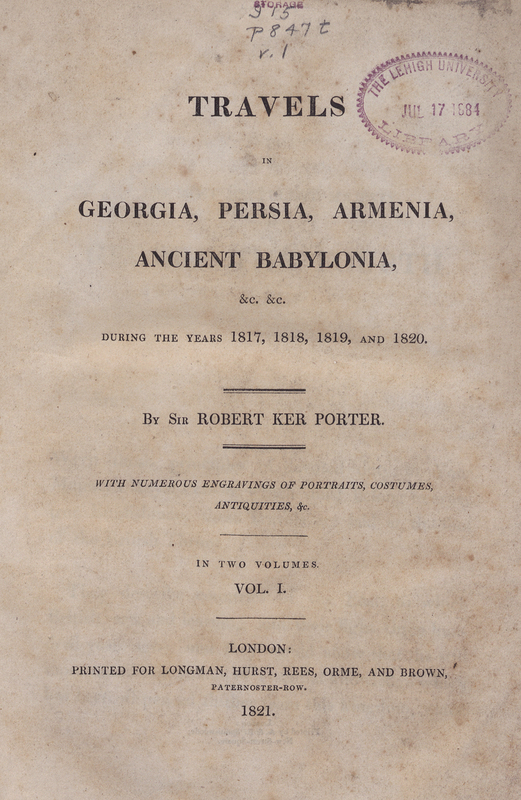 Sir Robert Ker Porter (1777-1842) was an ardent lover of the arts and antiquity who traveled extensively in the Middle East. 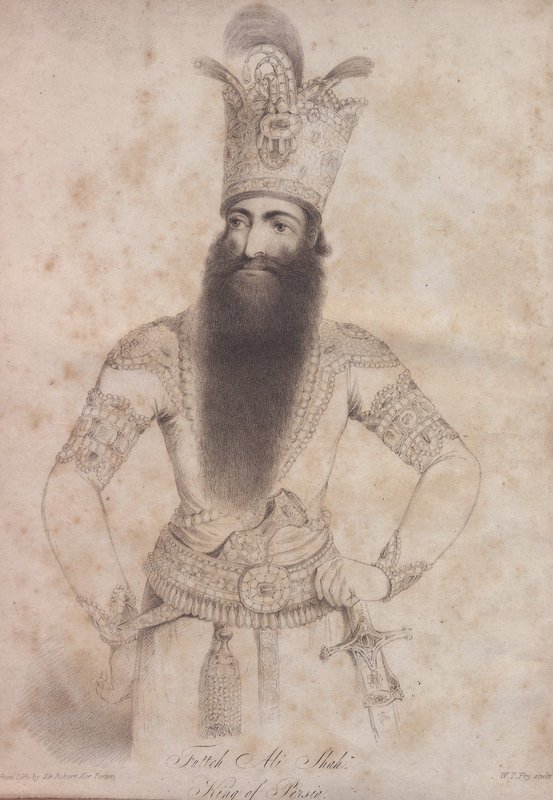 He published his travelogue in two volumes where he provides detailed observations of the people of Armenia, Georgia, Kurdistan, Iraq, Turkey and Iran and their history, costumes, folklore, and surroundings including historical sites. 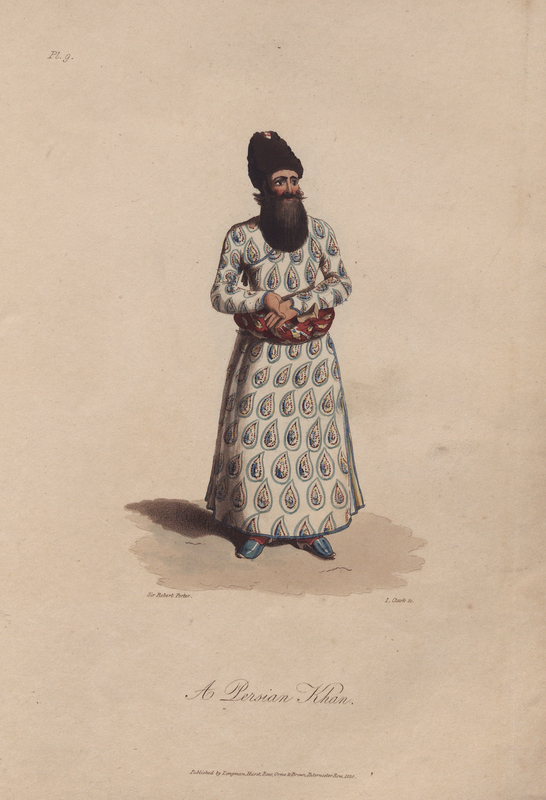 The illustrations in the book depict men and women from all walks of life in their garments.